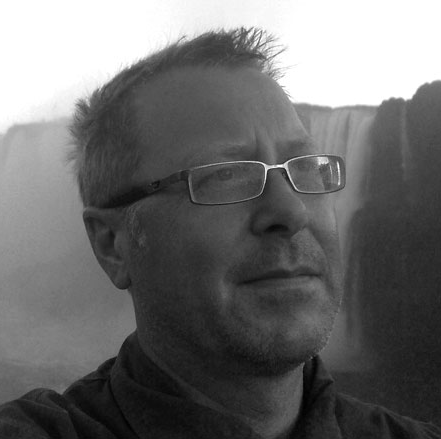 Our own Eric Swain is the co-host (with Ann Hawkins) of a weekly podcast called The Social Media Show. We are providing transcripts. Alan Moore joined Eric and Ann on the 4th episode to discuss how organisations are creating social businesses by putting social technologies and practices at the heart of their operations and business models. 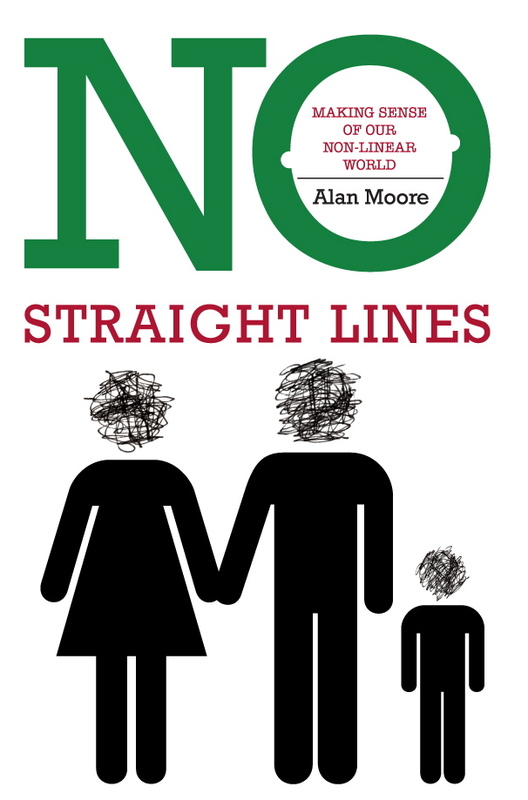 Alan is the author of the book No Straight Lines: Making Sense of Our Non-Linear World and an international speaker and consultant. Eric Swain: I think the hypothesis that you have put forward in your book, Alan, is that society, which has been set up around, and for, an industrial world, no longer functions properly. So we are in a post-industrial world and we need to behave differently, is that what you’re saying? Alan Moore: Yes, the observation I have made is that we created an industrial system, an industrial society, and for many years that was great for us and it delivered us great things. What I do see is that we have got to a point where I feel that the industrial organisations that now run us are no longer appropriate for the world that we live in. We struggle socially, organisationally and economically, and what I do see is that those institutions, as an overall system, are damaging us as a humanity, on a spiritual, psychological and even material level. You could even say from sort of an agricultural, or at an environmental level as well, that we are facing some really big challenges. So I argue in the work that we face a design challenge about “what next?”, or “what better could or should look like.” In many ways I try and go on to explore what that does indeed look like. So are you suggesting that we as humans have never really been fed emotionally, spiritually, humanly, by an industrial society? No, I’m not suggesting that at all. In many ways I think that the beginning of the industrial revolution enabled a huge surge for humanity per se to move forward, to progress. We are in a room which has got light, heat and electricity; all of these things exist around the world. I think that the early phase of the industrial revolution actually worked for and gave to what I call, “the collective good.” All of the institutions, whether they were government or whether they were industrial, even if we look at say the creation of the National Health Service, were actually designed and created to deliver to the collective good. My criticism in many ways is one, in terms of how we’ve arrived at the point where we put a dollar value on every aspect of human life, and that there is an extreme form of capitalism where actually the only thing that we measure is monetary gain. There was a theory put forward by Milton Friedman of the Chicago School of Economics that through free markets, incredibly free markets, society would self-regulate itself. But we only have to look at the global financial crisis and to see what that has done to us, and actually how that has transferred into what we call sovereign debt, that we see now that the world is totally indebted to a system which is actually no longer serving us. That’s my criticism. How has the rise of the social web, social media, social technologies, or the social era, affected what we might do going forward? In the work that I’ve looked at there are a couple of points, I think, that are very important to make. One is that technology doesn’t come out of nowhere; it’s a social invention in the first place, and it succeeds or not to the extent that it meets fundamental human needs, which is why I made the point earlier on that electricity is a universal need and it is universally supplied. For me it is no accident that we have seen social technologies explode over a very short period of time (although I would say the gestation period has been much, much longer) and this demonstrates that this is not to do with technology, per se, it’s to do with what humanity wants, what we want, that we want a different way of living and working and being in the world. Didn’t Clay Shirky say something along the lines of “this stuff doesn’t get culturally interesting until these technologies get boring,” until they get mundane and permeate society? Then things get really interesting because we start building on top of it and around it, and because of what it allows us to do. It’s interesting, I think, that if you can compare that, say, to a pen and paper; actually both of those are technologies. Guttenberg created a technology, and before that there wasn’t such a thing as authorship or publishing or copy editing or editors or typeface design, or, for example, even the invention of copyright law as a consequence of all of those things. What I see however before that is what Manuel Castells talks about, is this thing about communication power and how power shifts with communication technologies. So in fact with respect to technology, I agree with what Clay says, but I think before we get there, there is going to be a huge battle about who has power, who uses power, how power is diffused into the wider society. Because if we are starting to renegotiate the power relationships between how we live and work, how we are educated, how business is done, how money flows, then that is all about power. Therefore the technology I think will also be a central part of the debate for the time being. I would love it all to disappear. I agree with you, the fact that you don’t think you pick up a piece of paper and it’s a piece of technology. It no longer plays the role that it once did, but perhaps once upon a time paper warehouses were burnt down because they were seen as a form of technology that could distribute different types of ideas and things. With respect to the rise of the social era, what is happening with business? What businesses or organisations are doing things differently? How are they being affected? Can you shed some light on some of those? Yes, well interestingly enough a friend of mine, who is an expert in organisational learning inside big companies, sent me an email yesterday where he had written something for the McKinsey Quarterly on how social media and social technologies were impacting business. They wouldn’t have been writing about that in 2005, the year that YouTube, MySpace and Facebook were born. There is a recognition out there. However, what I see is that many large organisations are struggling with how they deal with that, because it’s a massive cultural shift. It’s not just an efficiency shift, it’s a cultural shift, something that Euan Semple talks a lot about in his work, very intelligently I think. So, there will be many organisations still which are going to struggle to survive this cultural landscape shift, for a whole variety of different reasons. Also what I see is this huge surge of what we call social innovation, social entrepreneurship, people that are creating organisations, although many of them are micro at the moment, which are bringing a different set of values and beliefs to the world that are actually imbedded, hard-baked into the DNA of their businesses and how they are working. My argument is that we don’t want big organisations to fall over. What we need to do is to help them to transform and transition to understanding how all of these technologies and processes, cultural practices in many ways, offer them extraordinary capacities to perform at much, much higher levels, but in fact where the input costs potentially are also much lower. It is a question of whether they are prepared to go actually on the cultural journey to embracing that, rather than actually all of the other structural stuff. And unfortunately there aren’t enough of them, I think particularly here in the UK, which are truly investigating the potential of those things. I remember talking to lots of media companies, both in newsprint journalism and also in the broadcast arena, when creating my first book, Communities Dominate Brands, so 2004, talking to them about how their business model would be completely dis-intermediated by digital communication technologies. From the work that we had already done we saw that there was an extraordinary opportunity to reinvent and reinvigorate both their editorial content and the way they produced those newspapers and magazines, but also the technologies and revenues, and the business models that could underpin them. Unfortunately, very few of them were really prepared to entertain that as a viable possibility, and so you see many, many companies within the media space really just falling apart because they weren’t prepared to think the unthinkable and actually be prepared to disrupt themselves better than anybody else was going to do that to them. So they have reacted, and they have reacted badly quite often, and they have to be in deep crises, where eventually the CFO knows that if he cuts any more there is going to be nothing left. That is an appalling state to be in. So, there is one thing I would say: right now people and organisations really have to be investigating alternative, viable ways in which their businesses are going to evolve and survive as we go forward. Could you give us an example or two of companies that are doing it? Well, let’s take two very different examples. One is definitely a start-up, although I would say that it is already scaling and scoping at the same time. It is a company called Patients Know Best, in fact it’s based here in Cambridge. It helps people run and manage their chronic long-term healthcare systems. It could not happen without technology, but at base is the idea that everyone who has a chronic disease has unique circumstances that makes it particular to them. Therefore, a “one size fits all” approach does not meet how we should be treating that disease. Normally what happens is: doctor speaks and patient listens. As a consequence of that, there’s a whole knowledge gap that’s lost, because actually the patient carries really deep and important knowledge about their particular condition and their particular circumstances. What Patients Know Best has done is create a platform which is highly secure, but participatory between the patient and the clinical team, and the patient has full access to all of their data, and actually can input data to the clinical team, and it allows the clinical team to really learn about that particular patient’s condition. As a consequence of that, you’ve got this much more, richer, deeper knowledge about how to deal with that particular patient’s symptoms. And this has been proven to reduce wrong diagnosis, to reduce over-prescription of drugs, and actually to alleviate the huge pressure which is on specialists’ time and the waiting rooms in our already over-crowded hospitals. For me that is really showing how a social way of designing around the needs of humanity, that actually we are co-creating, and through that narrative and that sharing freely of knowledge, albeit in this instance in a secure environment, enables something dramatic to happen where in fact the order of magnitude of effectiveness is to an order of two. Another example is Lego. They understood that by actually listening very deeply to their customers, co-creating with their customers, bringing their R & D almost to the forefront of the process as opposed to at the back, they could learn so much. One of the most cutting edge things they are doing at the moment is being run out of Japan, with a platform called Lego Cuusoo. If I am a big Lego fan, I can design my Lego product, load it up to the Lego Cuusoo platform, and if I get 10,000 votes, it’s not a small number but if I get 10,000 votes, then they will put my product into production, I will get my name on the box and I will get 1% of the royalty for every product that’s sold. It’s a fantastic example of a very different way of thinking about their business. Yes, co-creating with their customers, and even, I suppose, with their supply chain in some respects. Yes, and then on another level of scale is a company called TopCoder. TopCoder is a platform where people that are really into writing code can do two things: they can work on weekly competitions where there is no prize money but they cut their chops with their peer group. So you’re in a learning environment, you’re being pushed to your limit of your capability, you’re in a like-minded community, and so there is a real power of the learning there. On the other hand, people like NASA come to TopCoder and they say, “There’s an algorithm that we can’t crack, that needs to go into an astronaut’s medical kit. So we’ll put a prize level money of US$50,000 or US$150,000, this is what we define as success.” So there is reward around the competition, and then these guys will then work on that to try and resolve that problem. What is very interesting for me about that is that there is community, there’s co-creation, there’s competition, and I would say in fact that if you were the guy, Eric, that had written the algorithm that got it into NASA’s medical astronaut’s kit, that on your CV wouldn’t be such a bad thing when one is looking for one’s next job or something. So there are three examples of very different ways of how I think people have looked at a complex problem, put humanity at the very centre of it, and understood by engaging human beings in the right way, really interesting things can happen. This is where I think the cultural shift is so dramatic, but it offers huge opportunities for people if in fact we understand that this is how human beings are designed to work and operate.